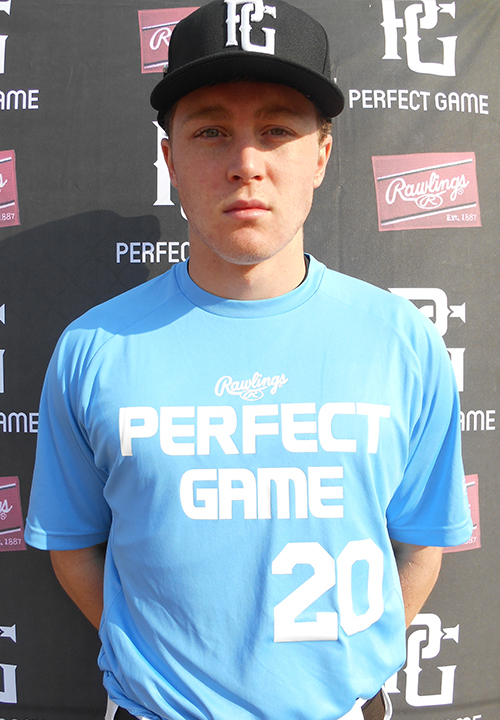 James McKenna is a 2019 OF/3B, SS with a 6-2 200 lb. frame from Longhill, NJ who attends Watchung Hills Reg H. Large frame with strong, physical build; ran 60 yard dash in 7.15 seconds. Shows good strength when hitting, gets off backside well and shifts into swing with authority, pull-side approach, bars hands back into load, line drive swing plane, swings the bat hard with intent to do damage, showed ability to drive the ball up the pullside gap with authority. Worked out in the outfield, some fluidity to actions, reads hops well and comes in on the ball well, fields clean and works through, clocked up to 87 mph on throws. Named to 2018 Sunshine Northeast Top Prospect List, very good student.